We investigated the physiological and psychological responses of ten healthy male volunteers to a single heavy floor-impact sound generated by dropping an automobile tire from heights of 50, 100, and 150 cm in a wooden house. Blood pressure and peripheral blood flow were measured simultaneously, and sensory evaluation was conducted using the semantic differential method. The results obtained were as follows: (1) the systolic blood pressure increased and the peripheral blood flow decreased when the subjects heard the heavy floor-impact sound; (2) the heavy floor-impact sound caused the subjects to feel uncomfortable, but there was no significant change in “sharp” and “monotonous” feelings; and (3) for the heavy floor-impact sound for 100 cm and that for 150 cm, the subjects showed no difference in “comfortable” feeling, but we detected differences in the variations of both the systolic blood pressure and the peripheral blood flow. 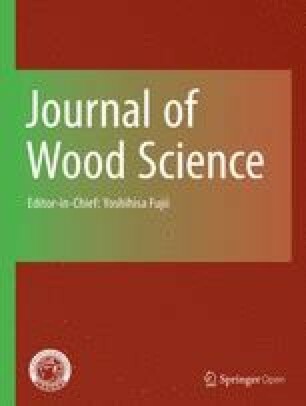 Part of this research was presented at the 48th Annual Meeting of the Japan Wood Research Society, Shizuoka, April 1998.